Killby and Gayford the construction company hired to convert the northern block of Mitre House into a hotel have gone bust. Construction work on Mitre House stopped in April, barely a month after it started. Killby and Gayford was one of the biggest construction firms in the country and carried out the renovation of Downing Street in 2008. The company is now in the hands of the administrators. Mitre House is still surrounded by grey hoardings and scaffolding but the site office is firmly padlocked. The only sign of life on the ghost-construction site is the dental practice of Brighton White, which was due to continue operating throughout construction. A statement from the administrators, BDO, said that the majority of the 152-year old firm’s 255 employees had been made redundant and all work had ceased on all the building sites. The administrators say that they are looking for a buyer for the assets of the company. 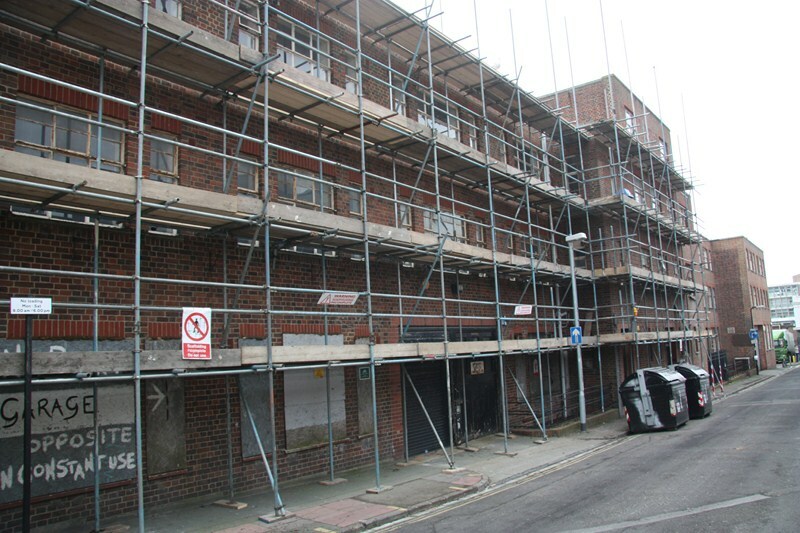 The future of the work on Mitre House remains cloaked in uncertainty and it is unlikely that construction work will start again in the immediate future. One possibility is that another construction firm takes over Killby and Gayford and resumes work on profitable sites. Another possibility is that the owners of Mitre House hire new contractors.